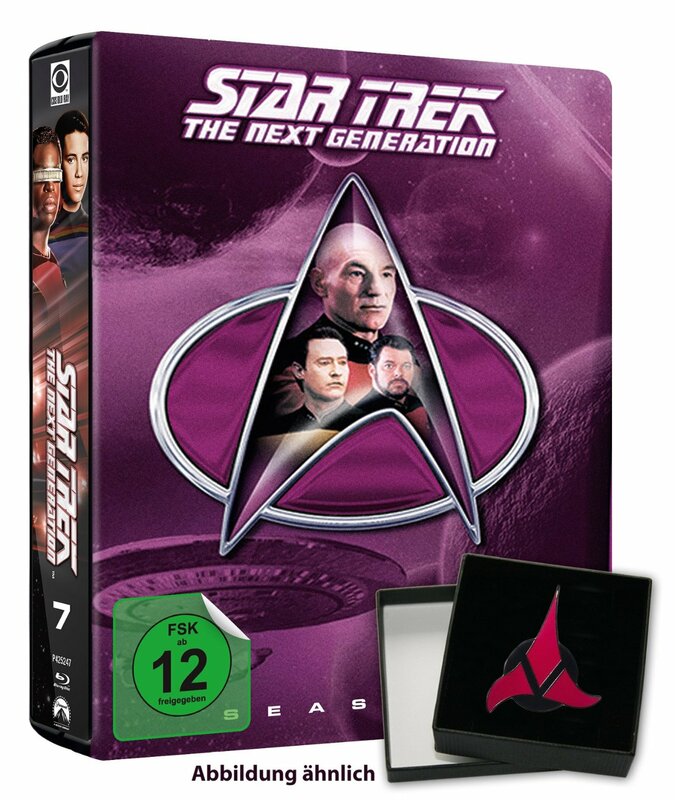 With season seven of the remastered TNG bluray releases due out in December, the inevitable complete series box sets will soon be following, and the UK release is the first revealed. 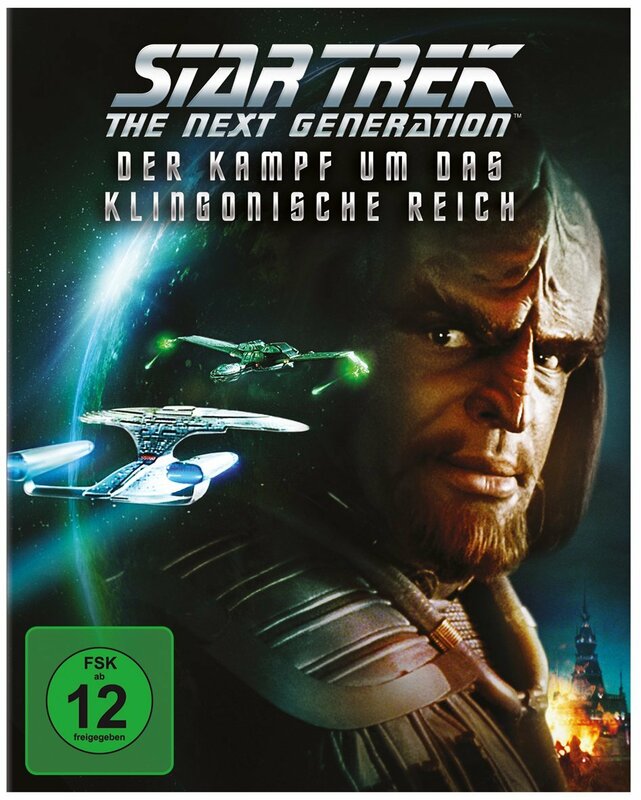 Amazon.co.uk now list Star Trek: The Next Generation - The Full Journey, for release in December as well. 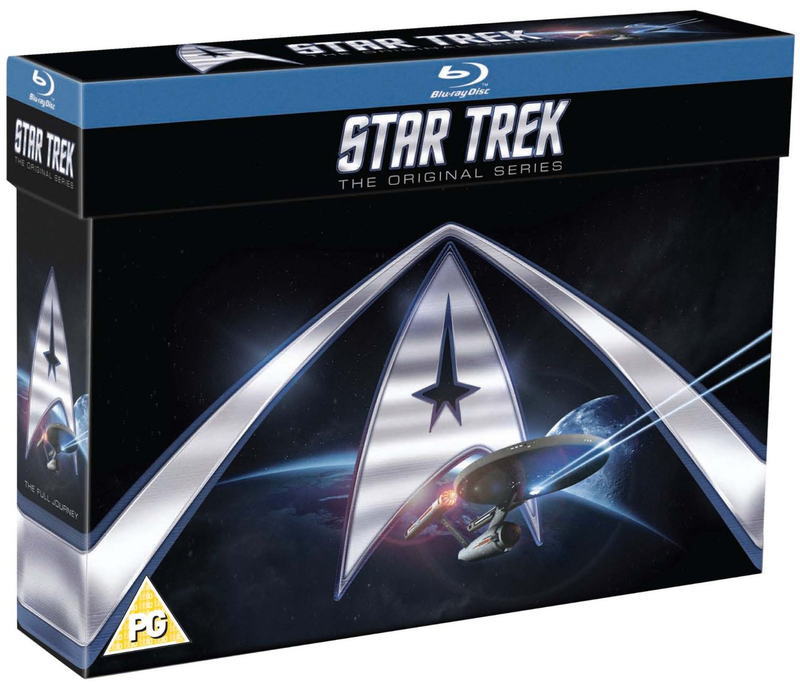 In a refreshingly consistent move, the newly packaged box set is presented in the same style as the Region 2 complete series DVD box sets from a few years ago. 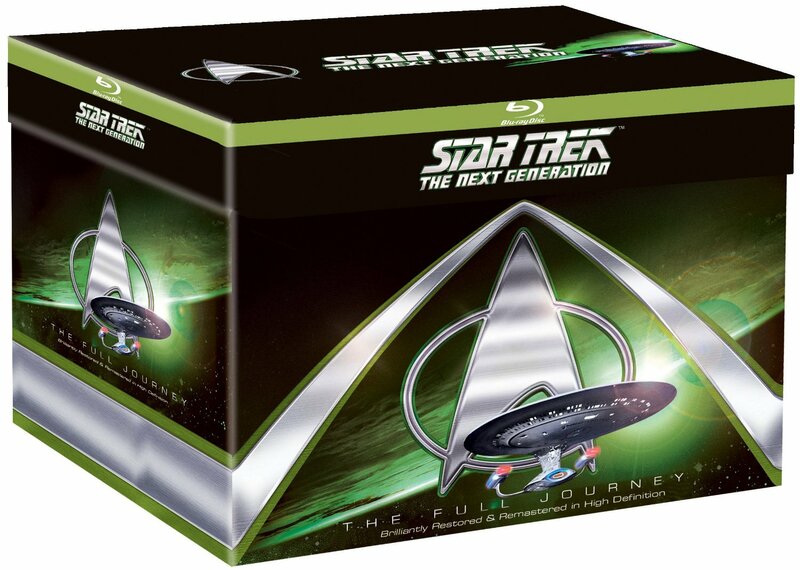 TOS has also already been released in this packaging style on bluray as well, and that set was region free, so fingers-crossed for anyone in the rest of the world that would prefer this box-set the same will be true of the TNG set. Germany will also be seeing belated releases of the first three stand-alone feature length episodes. Angriffsziel Erde (The Best of Both Worlds), Der Kampf um das klingonische Reich (Redemption), Wiedervereinigung? (Unification), are all set for release in December as well. 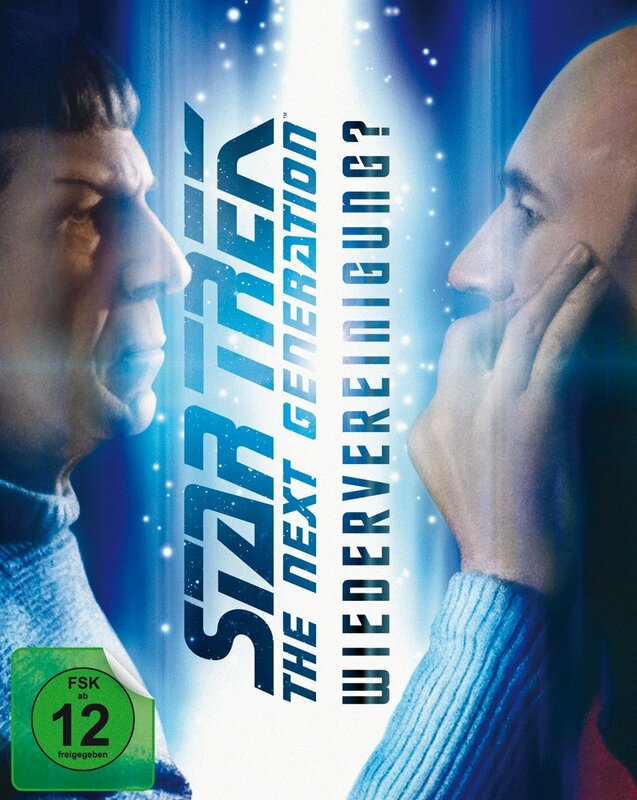 If all that isn't enough Trek for German home video viewers, December will also see the release of the Star Trek: The Original Series - Origins collection - The TOS highlights collection was first released in the US last year, and includes five "origin" episodes, The Cage (for Pike and Spock), Where No Man Has Gone Before (for Kirk), Space Seed (Khan), Errand of Mercy (Klingons), and The Trouble with Tribbles (tribbles).